One fine design! This home shows like the designer home that it is. The home sports 2890 sq. ft of space! The kitchen is fabulous. From its ceramic tile floors to the cherry cabinets to the new appliances, you will love this space. The living area faces the water & features new carpet & beautifully finished walls. The master bedroom is large, airy, faces the lake and it too has beautiful new carpet & walls. The master bath is also well appointed and there is a walk-in closet. There is another bedroom on the main floor along with a first floor laundry & another half bath. In the lower level there is a huge family room that faces the water along with a bedroom & an office. There is also a full bath & a storage area. Outside you will find an oversized lakeside deck. You will also love the stone work of the patio. The driveway is paved & there is a 2 car att garage, a massive 40&apos; x 48&apos; garage and a shed. 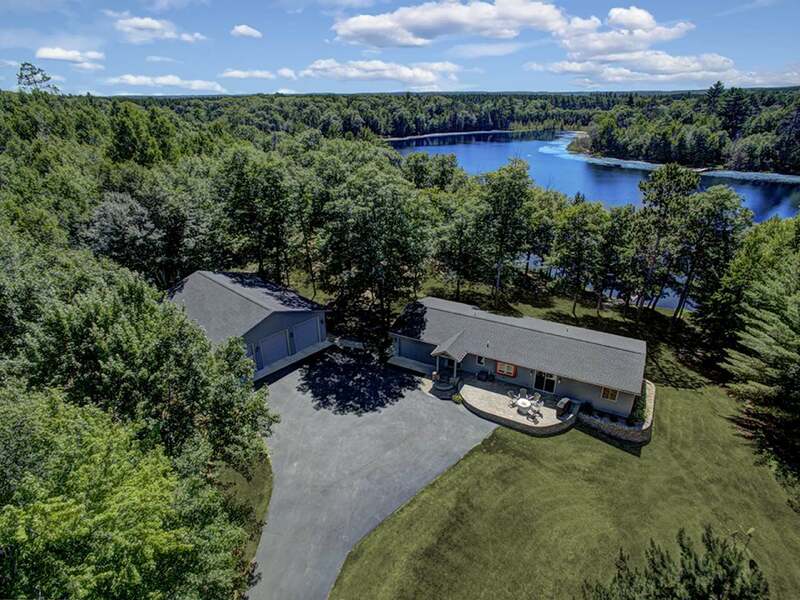 The yard offers 4.37 acres and over 300&apos; of frontage and is nicely landscaped too!